Lately, I’ve been flipping through the pages of some recent fly fishing catalogs and have been shocked by the prices. $800 for a rod? $500 for waders? $750 for a reel? I was disgusted by what companies were charging these days for gear that is slightly better than (or in some cases worse than) their far cheaper predecessors. In my early days of fly fishing, a high-end Orvis rod would set you back $350 and you could get an amazing Hardy reel for $100. Lines didn’t cost $120. They were more like $30 and cast just as well as the ones today. I realize there are mitigating circumstances like inflation, increased production costs, etc., but you can’t tell me an $800 rod casts $500 “better” than a $300 rod. I have some Sage rods that I paid less than $400 for that I think are better than rods that cost double that today. In fact, I sometimes go on eBay to find retro gear that I think is better than what’s available in today’s catalogs. Not because it’s cheaper–I just think it’s actually better. I’m just pointing out the Regal vise as one example. It was a good investment and I’ll never have to buy another vise again. Does it make me a better fly tyer? No. But it will never wear out, it’s got great ergonomics, and I can tie anything from a #22 midge to a 4/0 Deceiver on it without adjusting anything and when I tie on it, it’s as familiar and natural as being in the arms of an intimate lover. And that’s worth a lot more than a few hundred bucks to any zealous fly tyer. There are many other examples of gear that’s worth paying more for, but on the opposite end of the spectrum, there’s also a lot of gear whose performance defies its price. Take for example the Eagle Claw Featherlight fiberglass fly rod. Even among Fiberglass Aficionados, the Featherlight is considered a venerable rod for just $30. Japanese company Okuma makes exquisite fly boxes that rival the quality of any Wheatley box I’ve ever owned at a fraction of the cost (and I’ve got several Wheatleys). The last time I went to buy a new 9 wt. line for fishing in Costa Rica, the clerk tried to sell me on a special “tropical” line for $120 that would “beat the heat” and “punch through the wind”. I told him I’ll just take the $35 line and you know what? I had no problem with it in the heat and wind and caught tons of Jacks on it. That extra $85 would have made absolutely no difference. I could go on, but I think you get the picture. 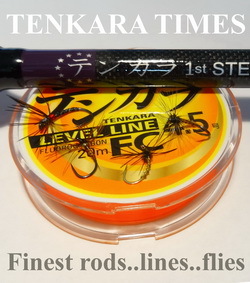 So why am I talking about western rods, reels, and fly line on a tenkara blog? Because I see the same mentality the established fly fishing industrial complex has invented creeping into the once humble and niche tenkara market. 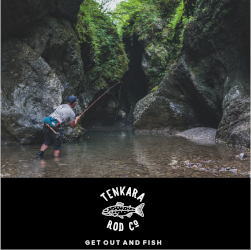 One of the great appeals of tenkara used to be not only its simplicity, but the fact that it was relatively inexpensive compared to conventional fly fishing gear and greatly reduced the barrier to entry for more people to get into a declining sport. But over the years, more and more “high-end” rods have appeared and (I don’t think intentionally) have turned some people away. It used to be you could get a great tenkara rod for $150. Now, you can easily pay $250, $300, or even $1,000 for a tenkara rod that’s considered “better”–implying that it will make you a better angler. As the anecdote I mentioned above proves, it doesn’t. In my opinion, if you can’t cast a $50 rod as well as you can cast an $800 rod, then the problem is you–not the gear. So I propose a simple equation: $$$ ≠ skill. You can’t buy expertise. It’s something you earn by patience, practice, and perseverance. Having said that, as a self-professed gear junkie, I love high-end gear. But I know in the back of my mind it doesn’t really make me a better angler. Sometimes, the action of a rod just feels better, or the finish on a wooden fly box appeals to me aesthetically. But none of it really makes a difference. If you think about it, ancient tenkara anglers caught many fish and thrived on gear that was far less sophisticated than what we have available to us today. Some might even deem what they used laughable. But in my mind, any competent fly angler today should be able to catch a fish using a tree branch, a string, and a bent needle as a hook. That’s not too far off from what our tenkara forefathers did. They had stream cred. So the takeaway I want to leave you with is to take advantage of what we do have available to us today (early tenkara anglers surely would have if they could have). Technologically, we’re very lucky. Just don’t fall into the trap that the ratio of money you spend correlates to the ratio of fish you will catch and how much you will enjoy your time on the water. Whether you fish tenkara or not, it’s probably a better investment to acquire acumen than an arsenal of expensive gear. After all, if you don’t understand what the fish are doing, or what the stream is telling you, it won’t matter if you’re holding a $50 rod or $800 rod in your hand. So in a pure capitalism/marketing perspective as a business owner I would have to say all your points are valid. At some point any of these people could realize that the “hype” is just that and then these will go for pennies on the dollar for excellent rods that someone somewhere doesn’t know how to fish them, but they can be fished as the “hype” to a degree. I like quality gear on sale. I just can’t pass up a deal. There is a “tipping point” where you can see the difference between a $800 rod and a $400 rod, or a $400 rod and a $50 rod. That being said, you can catch fish on all of them and most peoplw won’t notice the difference. Completely agree with all of this! Sure I bet that $1000 one piece orvis 5wt casts like a dream, but my low level $200 orvis casts perfect for me. Just like buying a car, you buy an Aston Martin to show off, you buy a Chevy or a Ford to do the exact same function with less bells and whistles. I’ve had a few Tenkara rods, most of which were in the $150-250 range, I have since sold them all and still use my $85 Diawa Soyokaze. Personal preference has a lot to do with this but I’ve had “old timers” cast my cabelas 5wt(first rod I ever got) and say wow that thing casts beautifully. There’s always quality stuff for just about anyone’s budget. The important thing is to be out there fishing! I like Andy Kims ideas about using cheaper ideas such:Pflueger Summit. Less than thirty dollars last I checked. 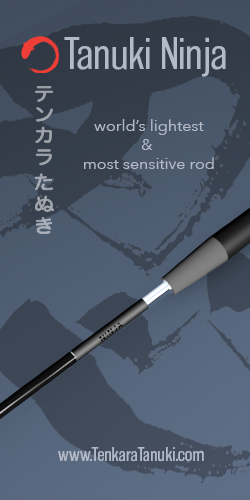 This rod is built on an IM6 graphite blank, the same blank as many top-rate graphite rods. Platinum II rod I bought at Walmart for $28.00. This rod is light, and has a nice action. Andy fishes this more often. Cortland Vista fly reel are $59.00. This is a good disc drag reel. (Or any other disc drag system works best.) If you can’t afford a disc drag, just get an inexpensive Pflueger click drag reel. I prefer a small canvas creel to a vest. If you must have a vest, shop around, and get one with lots of pockets and a place in back to stow a raincoat. Fishing line. Any cheap fly line is okay for nymphing. For delicate spring creek presentations, it really helps to have a Scientific Anglers Ultra 3 line. If you buy a double taper line, you can turn it around when one side is worn, and get twice the life. Fly box. Buy a cheap plastic clear tool box. I cut up some magnet cloth (found in the paint area in some hardware stores, or self-adhesive magnet strips at a craft store. 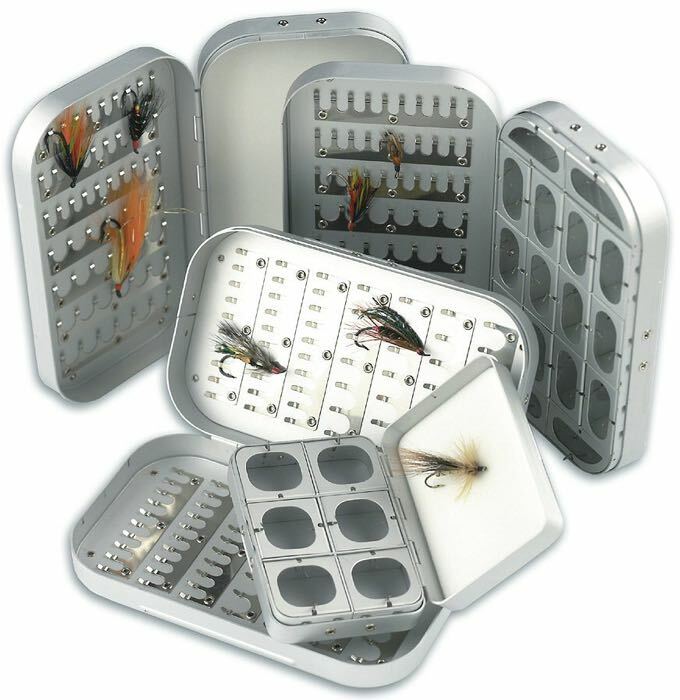 Cut up little pieces to fit in each compartment of your fly box, and tape it with double-stick tape. With the magnets, flies will stay in the box on windy days. Use inexpensive petroleum jelly such as Vaseline instead of typical floatant greases sold in fly shops.Use small nail clippers for cutting tippet material. Two dollars. Try clipping them to a shirt pocket button hole with a key ring. I find that works much better than an expensive retractor spring doohicky. Your comment about Lefty Kreh says more than you think. Yes, with enough skill you can make just about any rod perform, but as Lefty said, it might still be a piece of s**t.
If you are poor, fish with a $50 rod. If you are not poor, fish with the rod that makes you happy. If it makes you happy to spend as little money as possible, then by all means, that $50 rod will still catch fish. But if you really think a $50 rod is the same as a $350 rod then you haven’t fished with many $350 rods! And if you can easily afford a $350 rod, why in the world would you fish with a rod that YOU don’t think is as nice? Tenkara is a relatively solitary sport. I really don’t think people buy expensive gear to impress anyone. The people who buy expensive gear do so because they see additional value in it. The value may be in lighter weight, better damping, a smoother bend profile or even a prettier finish. If they value those things and want what to them is indeed a nicer rod, what do you care? What they fish with doesn’t take anything away from your enjoyment of the day on the stream. I really do not understand either the reverse snobbery (placing a higher “value” on cheaper equipment) or the argument that because 300 years ago they fished with a bamboo rod and a bent pin, it is somehow more noble to fish with modest equipment now. You may not feel that way, but you and I both know that there are people who do! It comes up in way too many comments on tenkara blogs, forums and facebook pages! 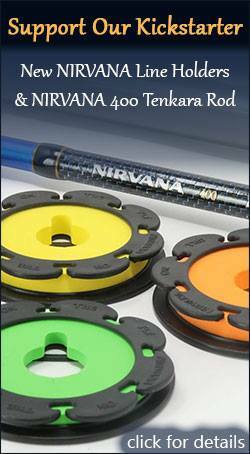 There are also lots of posts moaning about how the simplicity of tenkara has been lost as more rods, gear and gadgets become available. What somehow got lost is that these rods, gear and gadgets are coming from Japan, home of tenkara! 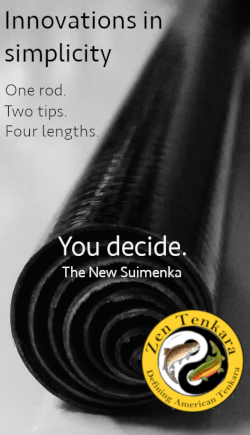 Face it, the “tenkara ethic” of simplicity was a marketing theme. Read that again and again until it sinks in! If you complain about marketing, complain about that! That a guy with lots of time to fish but not much money to spend looks down on a guy who can afford expensive equipment but just took up the sport is ridiculous. So what if “experience guy” catches more fish than “expensive guy”? Who the F**k cares? We all know that a lot of the “experience guys” care, buy why? What’s it to them? Life is too short to get wrapped up in how other people fish and how much they spend on their equipment. Some are more interested in saving money and some are more interested in experience. A breath of fresh air. 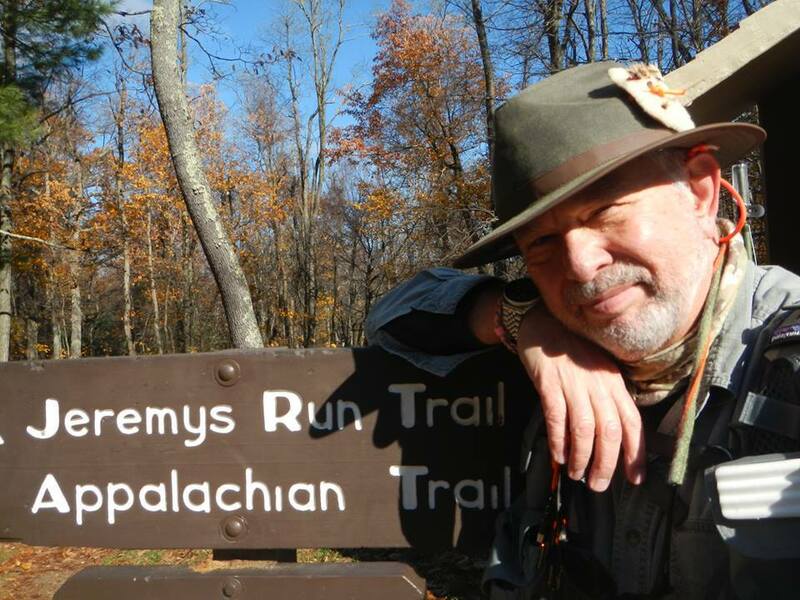 One of the best posts I’ve read on tenkara for a long time, nice one Jason. Love this post. Am a gear junkie and am in a 12 step program for it. Still at step one, I admitted it!! My favorite western fly rod?? My $150 Cabelas Stowaway. It fit my Goldwing trunk, then it became my fav over the years. Unlike one of the posts, I have not only seen equipment snobbery, I have witnessed it in fly shops. They rather discuss the trip to New Zealand than sell me a $3 spool of tippet. Never went back. Wish I had social media back then……. I have always had an eye for beautiful things. And when it comes to fishing I guess it’s the one area of capitalism that I can truly say that I participate in. But still, I like to remain frugal in my purchases. I have no problem buying a lovely little bamboo fly rod, because the very few things that I do have are high end. That’s how I ended up with a 3-tier Richardson chest fly box that I don’t need, LOL. Anyway, I often end up giving away a lot of the stuff that I accumulate, so I can always plead charitable contribution. Ha! There’s rationalization for ya. Thanks Jason!!! I believe there is a lot of merit in what both Jason and Chris are saying, they are just both approaching the same thing from different directions and with different objectives in mind. 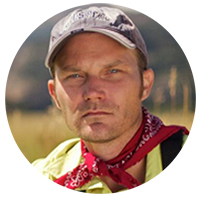 On Jason’s comment about the fact that earlier western fly rods have better casting actions than much of what is presently being offered, a lot of that is due to the changes that have taken place in fishing tactics since the older rods were designed. Two and 3 fly rigs (with 1 or 2 or more of the flies being heavily weighted) and indicator fishing becoming much more popular than it was in the past, has made it necessary for rod designers to build stiffer rods with much stouter tips that will not handle light tippets and the casting dry flies nearly as well as the more general purpose rods of the past did. So depending on what you want to do, many of the newer generation rods are actually a step back rather than a step forward in my view. 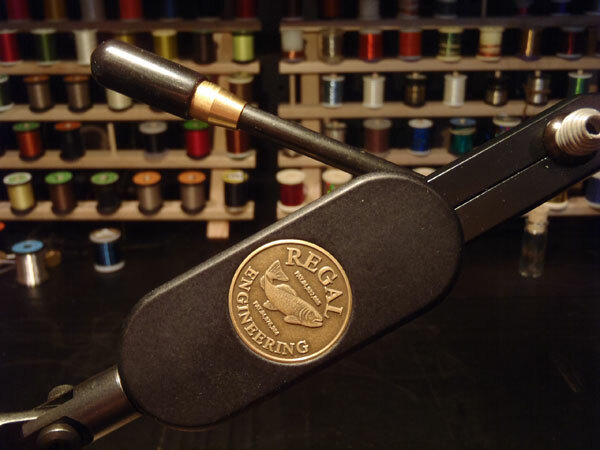 Orvis is one company that is still building and rating their rods so that the angler can understand there is a range of actions and rod designs to meet the needs of the total fly fishing community, not just indicator/nymph fishermen. I think it has something to do with the attitude of fly fishing in America as well. People in the US expect to pay serious money for serious gear. For example, you can buy packs of a certain imported barbless competition hook online or at the fly shop for $12 per 25 pack. These are very well made hooks and many consider them worth the money. The exact same hooks are available in Czech for $3 per pack, and they’re even packaged better! (International shipping is only a dollar or two more than ordering domestically.) Fly fishing in Eastern Europe is considered more of an everyman’s sport, so prices are kept affordable. Not sure when you got started fly fishing, but in 1986, $350 adjusted for inflation comes out to $768.49. Not far off from $800 if we take relative elements into account. That, and technological advancements, etc. Only to name one, if you’re in Japan you can get a whole lotta rod from nissin for about $60, then you can have one made by the gods in the same factory for as much as you want to pay, as anywhere else. In the end it only has to please one hand, fish doesn’t care and there are few others as sick as us to be able to even care about it.